What I liked about the C* was the diversity of color I could get. At first I thought it was just bright, but then I realized I’ve been trying to brighten a dull sound for a while (on my NC4) and this new mouthpiece let me know exactly what I was doing. That was actually the deciding factor for me. The other mouthpieces were nice, but I was only able to get one sound out of them and it was kind of boring. I very much liked the control, but sometimes that sound is not appropriate. Another nice thing about this mouthpiece is that the low register speaks more easily. That makes me very happy. 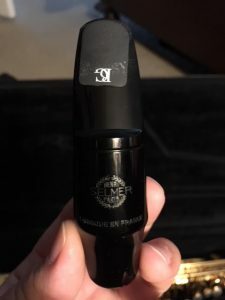 If you’re in the market for a new mouthpiece I encourage you to try the Selmer C*, but don’t try just one. I had two and they were very different mouthpieces. Try out a few and see what you like. I’m not putting down the AL3 or S-90 either. 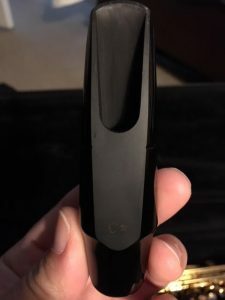 They were good mouthpieces, easy to play, good response, nice uniformity, and solid. If I was a younger player I would have probably gone with one of these (especially since they were cheaper). I would recommend them for a beginner-intermediate or high school player.